Three of our students placed 1st, 2nd, and 3rd place on the 'Ohana Art Contest, sweeping the K-5 division. 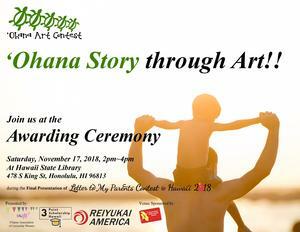 Students will be formally recognized at the award ceremony at the Hawaii State Library on Saturday, November 17 at 2:00 - 4:00 pm. 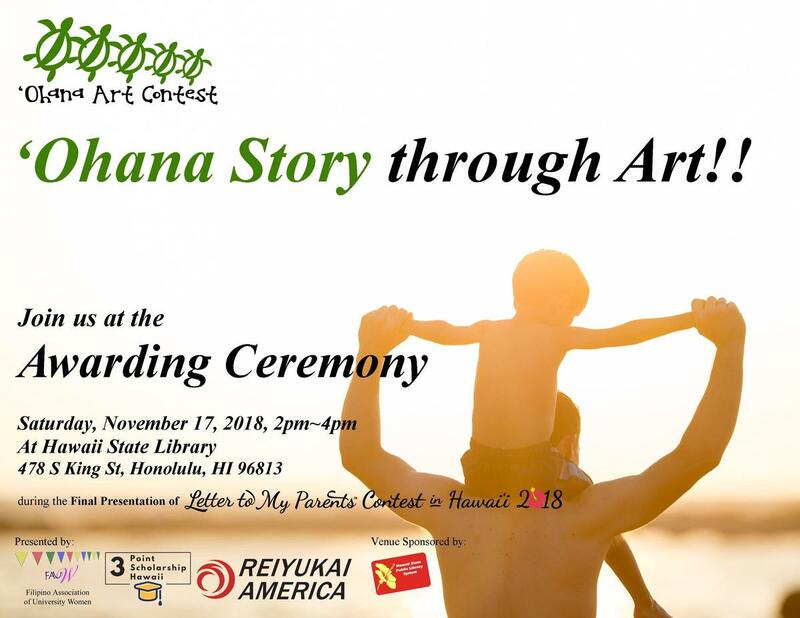 All students who submitted an entry with a completed entry form will have their art displayed at the Hawaii State Library from November 17th to December 8th.